Casinos are becoming more and more popular nowadays. Once seen as exclusive destinations for high-rollers, they’re now more open and egalitarian. In the UK alone, the gambling industry brought in £13.6 billion from 2015 to 2016. It’s therefore surprising that there aren’t more TV dramas based on casinos. Sure, we have James Bond style films that glamourise the popular culture of the casino but you’d expect there to be more by the way of TV dramas. Below is a list of 3 must-watch casino based TV dramas that bang the drum for the genre. Before he played the role of murderous Joe Macer in EastEnders Ray Brooks starred as small-time gambler Robby Rox in Big Deal. The show was based in South London and followed the life of Robby, who fancied himself as a big-time gambler and a professional poker player. The problem is, he wasn’t as good as he thought he was and spent most of his time struggling with money and losing at poker in strange, seedy places. Whilst trips to big casinos are rare, the show does a great job in portraying proper gambling culture. Big Deal enjoyed relative success in the UK, running for 30 episodes and drawing praise from both critics and the general public. It currently enjoys a rating of 8.3/10 on IMDB. Las Vegas, the home of casinos and gambling but also home to a great American TV drama. Based in the Montecito casino and hotel it follows a crack surveillance team that monitor all the goings on in the casino. The show superbly captures the glitz and glamour of life in the casino but also shows the darker side too. The resorts surveillance team monitor a guest that they suspect to be card-counting at blackjack in one particular gritty scene. To fully appreciate this scene and many more like it, the world famous online casino, 888casino have produced a fabulous guide that perfectly explains how to play blackjack. The show ran for 5 seasons and still remains highly popular with a rating of 7.5/10 on IMDB. One of the actors, Josh Duhamel has since gone on to star in the acclaimed TV series 11.22.63 which was based on the novel of the same name by Stephen King. Robin Weigart, Keith Carradine and Gale Harold star in this absolute blockbuster. Based in a rundown bar & brothel in the Wild West this show highlights the not so glamorous side of betting and casinos. In 3 seasons, creator David Milch produces great storylines in a fabulous setting that evokes memories of the great westerns of the 1960’s. Deadwood was probably the most popular show of the 3 in this list with an IMDB rating of 8.7. In fact there have even been recent rumours that it’s set to be brought back in the form of a film in the not too distant future. It was rumored that it cost $4.5 million to make each episode of Deadwood. HBO committed to this series so much that they built an actual old west town, featuring stores, two saloons, stables, and homes. Las Vegas provided a breakthrough for the lead actor Josh Duhamel, he is now worth an estimated $15 million, the fact that he is married to Fergie does him no harm at all, she has her own net worth of $45 million. David Milch wrote and produced Deadwood, arguably the best casino related TV drama of all time. He is also responsible for NYPD Blue, the hit drama based on the New York police department. 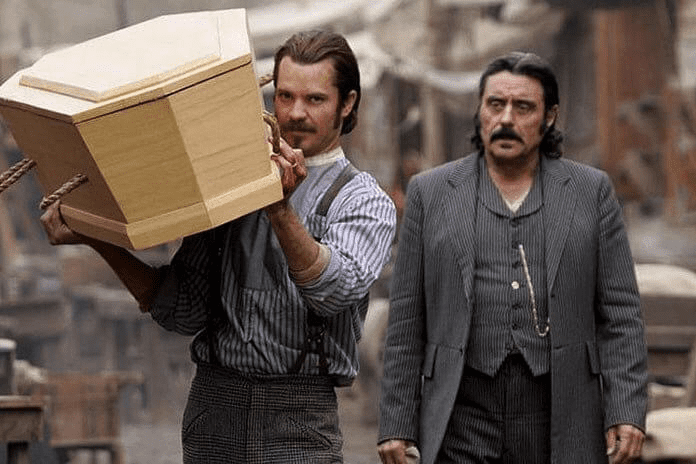 There has reportedly been plans to produce two feature length films on Deadwood, and sources report that Milch has already written the scripts. Gary Scott Thompson is most famous for his work on The Fast and the Furious although he is the executive producer of NBC’s hit series Las Vegas. Somewhat less lucrative, Geoff McQueen, the man responsible for The Big Deal, also produced the long-running TV drama, The Bill. For Las Vegas, Thompson received the honor of Best Drama Series at the WIN Awards, an awards show dedicated to highlighting positive portrayals of women in the media. 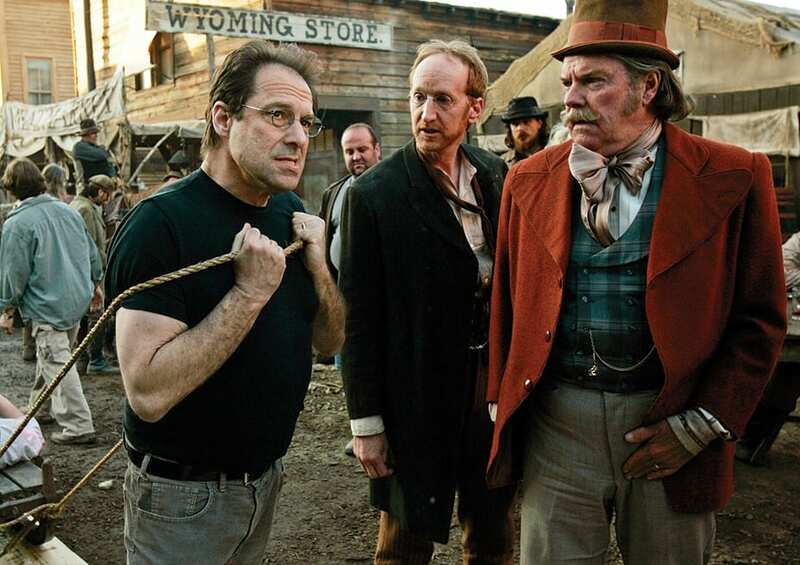 Although David Milch was nominated for a number of awards for his work on Deadwood, he was unable to scoop a big prize. He narrowly missed out on the award for Outstanding Writing for a Drama Series. Unfortunately for Geoff McQueen, the British Academy Television Award for Best Drama Series was introduced in 1992, six years after his popular series Big Deal had concluded. There is no doubt that casino dramas are received far better when it comes to movies rather than on television. The success of James Bond’s Casino Royale and Ocean’s Eleven is testament to that fact. Ocean’s Eleven made a gross profit of $183,417,150, far exceeding anything that a gambling related TV series could ever expect to make. While films are better received by the audience the vast majority of the time, previous success stories have shown that there is an appetite for gambling related TV shows. Due to the popularity of both gambling related and non-gambling related TV shows, there has been a number of slot games developed in order to take advantage of their esteemed reputation. There are now slot games based on 24, Baywatch, CSI and a whole host of other TV shows. The TV shows that have been mentioned previously could potentially encourage viewers to get involved due to the nature of them. Slot players can now try to win some money for themselves while playing a game that is based on their favourite TV show. Clearly the gambling industry is keen to take advantage of the popularity of TV shows and there is no better way to do this than by creating exciting slot games. Hopefully it won’t be too long until the television networks commission more excellent casino-based TV dramas. The success they all achieved should encourage producers to get busy with the gambling theme again. Until then though grab some snacks, draw the curtains and get yourself comfy to watch all three of these shows.